Irma. 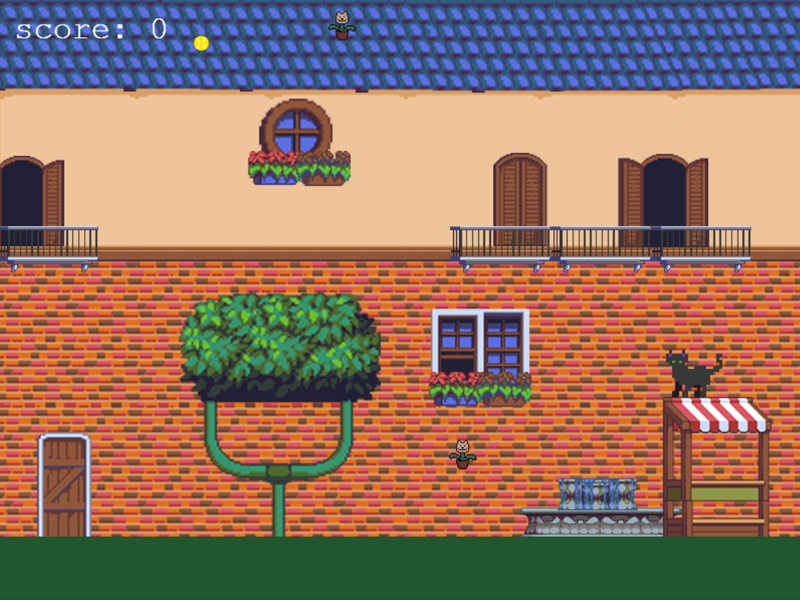 The Game was originally intended for the Christmas Jam 2018, but I was a little slow, because I decided to try out the Phaser 3 framework for HTML5 games. You play as Irma, the cat, in her never ending goal to catch all the yellow tennis balls while avoiding the evil dog shaped flower pots out to get her.